“Couples that choose a destination wedding in Thailand can get more for their money"
An increasing number of couples are heading abroad to tie the knot to avoid the astronomical costs of weddings in their native country. Thailand is Asia’s leading hub for destination weddings, and brides and grooms form all over the world now opt to marry on the sunny isle of Phuket. 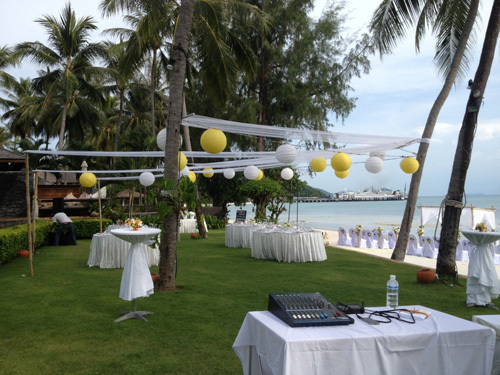 With the help of one of Thailand’s dedicated wedding agencies, couples are able to stretch their wedding budgets further and hold the ceremony in a lavish venue such as a private beachside villa, with excellent entertainment and a delicious wedding feast for the guests. The local expertise of the wedding planner also helps couples source the best deals on flowers, alcohol and a DJ. 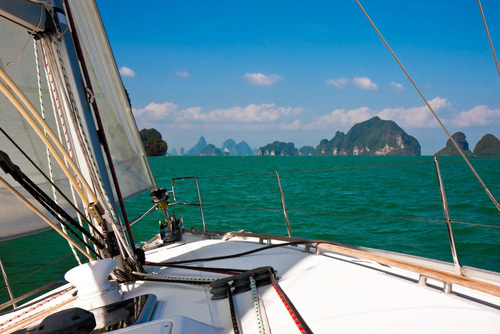 Although southern Thailand does have a rainy season, for nine months of the year it is a sun soaked paradise. The balmy climate and refreshing sea breezes on the island of Phuket make it a particular favourite with couples that want to marry close to the lapping waves of the Andaman Sea. Some couples choose to rent out one of the island’s private villas, many of which have direct access to the beach. Others prefer hillside locations, tucked away in the privacy of the tropical forest with breathtaking views. The surroundings at either type of villa offer an appealing, exclusive wedding experience with a whole host of ways to customise the day. 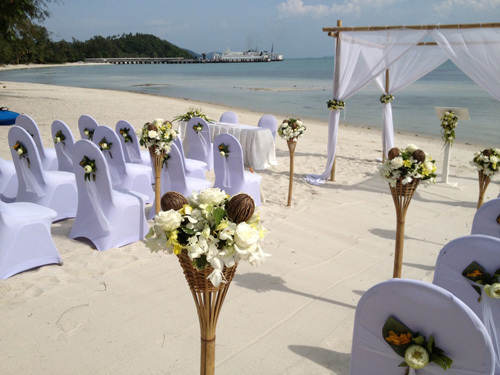 For couples based outside Thailand, the great thing about hiring a wedding planner based on Phuket is that he or she can take care of all of the logistics and organize every last detail of the wedding before the bride and groom even arrive. Professional wedding planners on the island have a long list of contacts to source the best possible services. They can hire a professional photographer, florist, hair and makeup artist, DJ or live band, as well as sourcing decorations, special alcohol and other essentials. 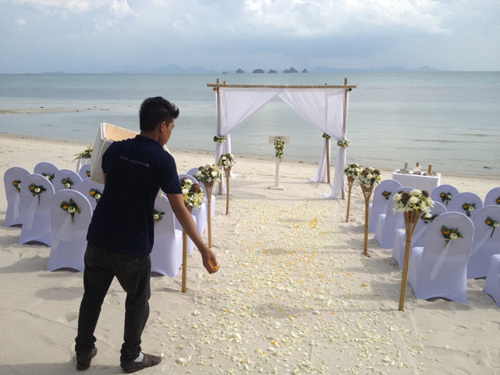 With so many different services available to couples getting married on Phuket, the option to truly personalise the event are limitless, and on top of the location, this is one of the island’s main attractions as a wedding destination. Couple may worry about crashing back down to earth after months of counting down to the biggest celebration day of their lives, but on Phuket there is no cause for concern. The island and it’s surrounding waters and islets offer newlyweds the ultimate honeymoon destination, and when with the long haul travel already covered, staying on to relax and start your lives together in bliss makes perfect sense. The day after the wedding, couples can enjoy romantic activities without even leaving the privacy of their own villa. A private chef can whip up a culinary masterpiece in the villa’s own kitchen, to be enjoyed under the stars in the villa’s outdoor dining area or the manager can arrange for a professional masseuse to come to the villa so the bride and groom can indulge in a few spa relaxing spa treatments together.